Amazon CEO Jeff Bezos created the world’s most valuable company during the 25 years he was married to MacKenzie Bezos. The couple, who announced plans for divorce in January, apparently had no prenuptial agreement and live in a state where assets are split 50-50. In April, MacKenzie and Jeff Bezos tweeted that their divorce was finalized, and MacKenzie would walk away with 25%. MacKenzie Bezos said in a statement that she would grant Jeff Bezos all her interests in The Washington Post and Blue Origin, as well as 75% of the Amazon stock they owned and voting control over the shares she’s retaining. MacKenzie was part of Amazon’s early team, helping to come up with the name and serving as its first accountant. But there’s another reason she deserves half of the $137 billion Amazon fortune. 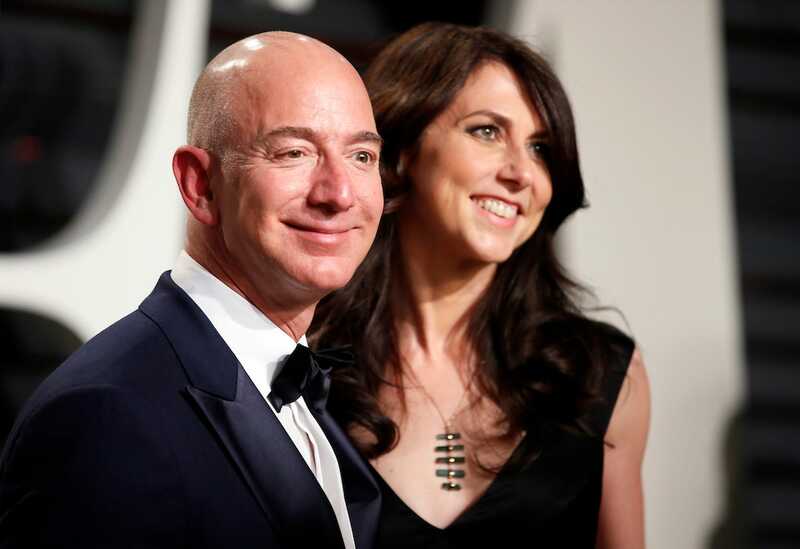 Jeff Bezos, the world’s wealthiest person and the CEO of Amazon, is getting divorced from MacKenzie Bezos, his spouse of 25 years. Jeff and MacKenzie Bezos finalized their divorce in April. MacKenzie will walk away with 25% of the fortune and a net worth of about $36 billion. Her interests in The Washington Post and Blue Origin will be handed to her ex-husband, who will remain the wealthiest person in the world, as well as voting control over her remaining Amazon shares. But if you’re married to the world’s richest person (Bezos’ net worth is $137 billion!) who is entirely self-made, do you deserve to get half instead? The pair brainstormed the name “Amazon” together after almost choosing a different name: Relentless.com. MacKenzie became Amazon’s first accountant, despite being an aspiring novelist. She did a lot of other grunt work, like most early startup employees do, from driving book orders to the post office to handling the company’s bank account and line of credit. She met early Amazon investor John Doerr and partied with the team in Mexico after Amazon’s IPO. But beyond her early role in the company is the significant role any spouse plays in a partner’s career. Sure, there’s the sacrifice one partner might make to allow the other to pursue a demanding career. But that’s not what Buffett was getting at. Would the notion of opening an online bookstore have taken hold of Bezos as forcibly if he hadn’t met MacKenzie? Would he have executed on that vision in the same way, hired the same people and taken the same kinds of risks with a different partner? These are impossible questions to answer. But it’s not outrageous to suggest that a person’s motivations, attitudes, and goals are influenced by the most important person in their life. Regardless of whether a spouse is listed as a partner on a business masthead, many couples operate as a team focused on a grand, overarching enterprise and work in tandem to achieve common goals. That’s part of the reason many state laws recognize the concept of community property. “What happened with me would not have happened without her,” he said in a 2017 HBO documentary.